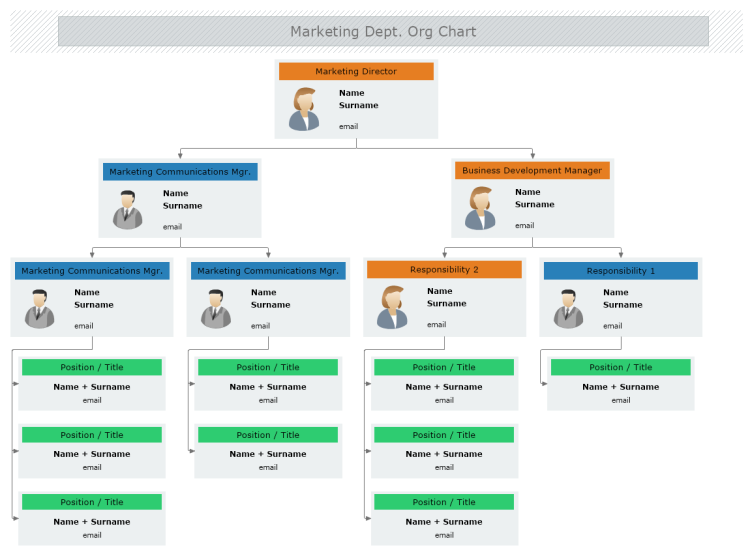 This example demonstrates a basic structure of Marketing department organizational chart. The diagram suggests that on top the hierarchy in this department stands the Marketing director. His direct subordinates are the Marketing communications manager and the Business development manager. Each one of them manages a lower level managers who supervise directly the department employees.